If this set looks familiar, that’s because it’s incredibly similar to the Winter Toy Shop set 10199 that was released in 2009 (which is now going for around $250!). It’s definitely been updated and there are a few new elements, but the good news is that since these sets historically sell out and rarely reissued, you can now scoop this set up to complete your Lego Winter Village. A few of the new elements include new printed signs, and happier-looking minifig faces. Just look at all these jolly minifigs! 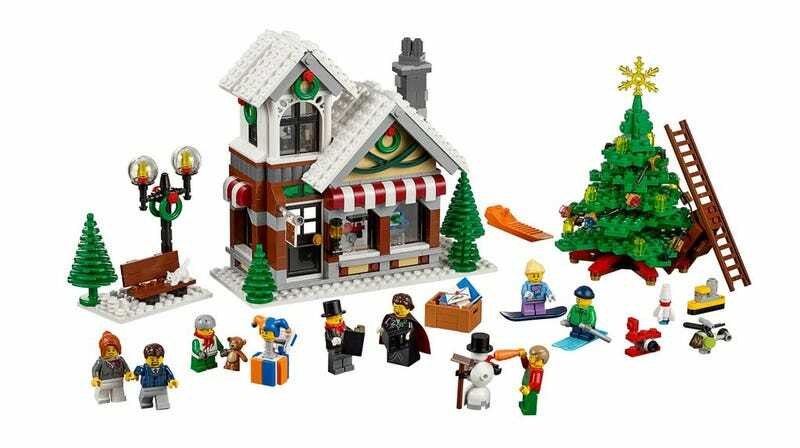 Personally, I love all the Lego Winter Village sets, and I’ll probably be buying this in September. Plus, these sets are always a good investment, because they tend to appreciate in value due to their limited availability. What can I say? Some people collect art, I collect Lego.